Aldeles nydelig LO, Monica:O) Vakkert!!! Monica, this is so beautiful! Your details are perfection and I just love cards with pictures on them! Your creativity is amazing! 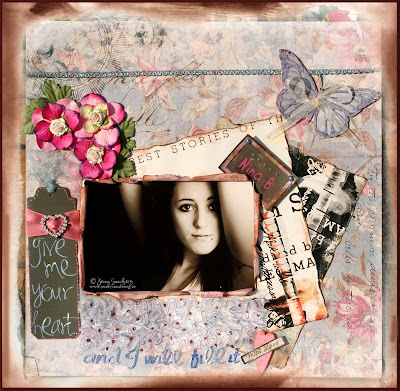 Gorgeous layout Monica! Love all the little details..Awesome! :) Cheers, Y.
Lekre papirer og nydelige detaljer! Your layout is lovely, great paperchoice and a beautiful photo. Beautiful, love all the details!